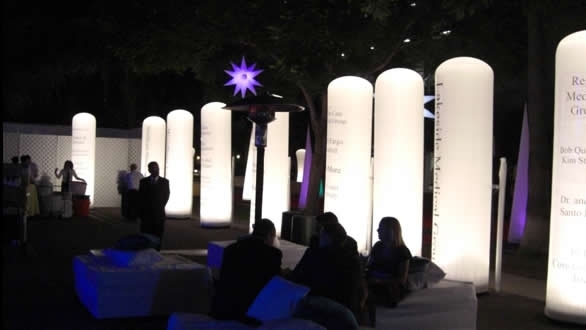 Inflatable columns are ideal for indoor and outdoor use. From 1.5m to 4m, ideal for promoting your brand at a lower budget. 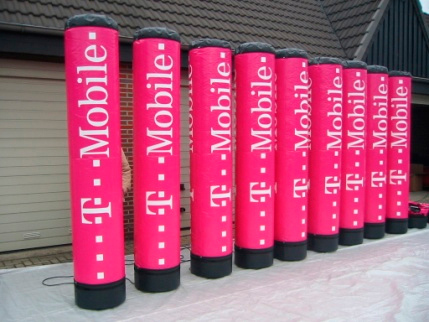 A giant inflatable tube advertising your event, brand or club can be even more highlighted when lighting is added to the column so that the inflatable branded column is illuminated highlighting your logo or message. The inflatable printed tube provides 360° brand visibility making the post of your marketing potential. Our inflatable advertising columns or inflatable cones are ideal for use at exhibitions, sporting events and music festivals. You can see from our images that when placed together these giant inflatable tubes can give a really dramatic effect when branded well. 34 reviews (scored 0 to 5) Glow Inflatables are rated 5 Read our reviews.